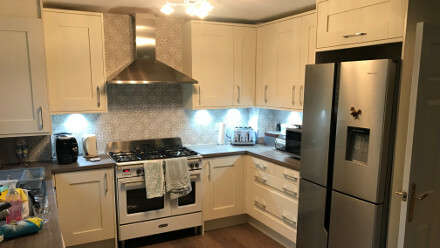 JMH Joinery - Kitchen Fitters and all other Joinery in Harrogate, North Yorkshire - Welcome to JMH Joinery - Kitchen Fitters Harrogate area | Fitted Kitchens Harrogate. 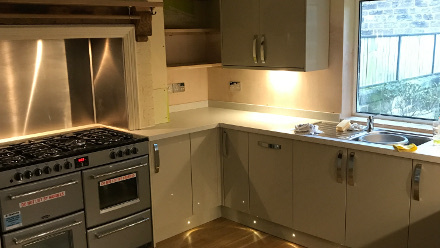 Welcome to JMH Joinery - Kitchen Fitters Harrogate area | Fitted Kitchens Harrogate. JMH Joinery is based in Harrogate and caters to a large surrounding area including Leeds, York, Ripon, etc. If you want to replace your kitchen, or just freshen it up, we can sort it out! We can supply and fit or just fit the kitchen that you have already have bought. All kinds of joinery work can be undertaken including fitting kitchens, laying floors, hanging doors and making fitted wardrobes. Top quality tools and materials used. No job too large or too small, please contact us for a quote. Please also visit our sister website www.harrogatejoiners.co.uk for more information on the other aspects of Joinery that we cover. Tel: 07834 532904 or 01423 431319 Email: info@harrogatejoiners.co.uk www.harrogatejoiners.co.uk © 2019 - JMH Joinery.